Matthew Rowley told BBC News that his 45-year-old brother Charlie, who is conscious but seriously ill in hospital, told him he had picked up the perfume bottle. A British man exposed to Novichok, four months after the same nerve agent was used against a former Russian spy nearby, had found it in a perfume bottle, his brother said. Contacted by AFP, the police refused to confirm the claim. 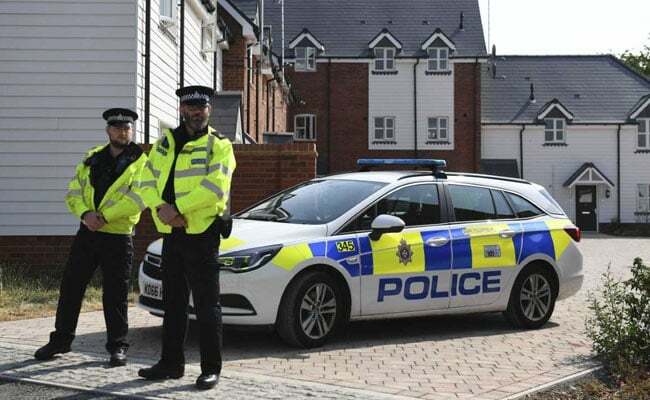 The police previously said that they found the Soviet-era nerve agent in a "small bottle" in Charlie Rowley's home in Amesbury, near the city of Salisbury in southwest England. Rowley fell ill there on June 30, hours after his 44-year partner Dawn Sturgess collapsed after being exposed to the same nerve agent. Sturgess died on July 8. Police said the two had been exposed to a "high dose" of the substance and had handled a contaminated object. Local MP John Glen told BBC radio earlier that the couple may have come across the object because of their "habit of looking into bins". Sturgess was living in a homeless hostel in the city. Former Russian double agent Sergei Skripal and his daughter Yulia collapsed in Salisbury on March 4 after being exposed to Novichok. Both have since recovered. Britain blamed Russia for the attack against Skripal, a former colonel in military intelligence who was jailed for betraying Russian agents to Britain's MI6 security service. Sturgess's son Ewan Hope, 19, has called on US President Donald Trump to raise his mother's death at his summit with Russian President Vladimir Putin on Monday. "I don't share Donald Trump's politics and I'll never be a supporter of his, but I would like him to raise mum's case with the Russian President," he told the Sunday Mirror. "We need to get justice for my mum," he said.